October is here, primaries are over, and things are heating up for the upcoming elections! It’s a great time to get involved! Here is the latest–six things you should know and do to protect some of the important places, plants, species and culture that make Hawai’i… Hawai’i! Mahalo for your continued support! Love local Hawaiian food and agriculture? Here’s your opportunity to support a historic new law that would ban GMO (genetically modified) taro and coffee on Hawai’i Island! Hundreds have already written letters in support! Mahalo! If you are on Big Island, PLEASE TRY ATTEND! This is the final Hawai’i County Council vote on Bill 361. At this critical moment this effort needs massive support more than ever- the local farmers and consumers need help standing up against strong-arming by huge multinational corporations. This bill will prohibit the cultivation, importation, and sale of GMO taro and coffee throughout Hawaii Island and fine any corporation or individual that violates this rule. So Much Support So Far! – Introduced by Council Member Angel Pilago, Bill 361 would ban the growing of genetically modified taro and coffee on the Big Island. – This bill has received overwhelming public and political support, and has already successfully passed through two Council votes to make it to this FINAL VOTE. – If the bill passes this last vote it will go on for final approval by Mayor Harry Kim of Hawaii County. Over 100 people attended the hearing last night at Nanakuli High School, as again, the Army seeks to expand live fire exercises in Makua Valley on the Waianae Coast of Oahu. Pre-contact, the valley–called “parent” in Hawaiian–was among of the most productive agricultural lands on the island. Makua is home to Kamuakuopio Heiau, the Makua Koa (fishing shrine), and many other sacred and cultural sites. Live fire exercises also threaten the existence of 41 endangered species of plants and animals which live in and around the valley. Marti attended the hearing last night and posted this report on KAHEA’s blog. You can attend one of the public meetings being held at the locations listed below. Each meeting will consist of an open house from 5:30 p.m. – 6:45 p.m., where information will be provided (on the SDEIS), followed by a public comment session from 7 p.m. – 9:30 p.m.
“This is an urgent call for all practitioners of aloha ‘aina, to all who love Hawai’i nei to rally to protect Makua. The Army plans to fire over two million munitions annually – further destroying the beautiful and sacred Makua valley during their proposed 242 days a year of war games. These munitions include the most threatening illumination munitions, 120mm HE mortars, 155mm HE howitzers, inert TOW missiles and 2.75 caliber rockets, some of which will be launched from helicopters, and all of which the Army admits will increase chances of wildfire and “physical damage and loss of mana for the Native Hawaiian culture” (SEIS 4-199). – The devastating impacts of wildfire caused by Army war games are unacceptable. – Any further desecration of our sacred sites is unacceptable. – Limiting access to the valley is not acceptable. To learn more, you can go to www.dmzhawaii.org or call 808-988-6266. Through eight years of overwhelming public support, you have helped make the Northwestern Hawaiian Islands (NWHI) the largest marine reserve on earth! Today, President Bush has directed his administration to consider similar protections for a number of large, ecologically important ocean areas in the Central and Western Pacific. The complete list of areas considered for protection involves seven important reef ecosystems located in the Central Pacific, three islands in the Commonwealth of the Northern Marianas Islands, and the world’s smallest atoll in Samoa. Of these, most utmost importance to protecting Papahanaumokuakea in the NWHI is Johnston Atoll. This small deep ocean island shares a very important relationship with the newly protected NWHI. Unfortunately, decades of military use has contaminated the land and surrounding ocean. 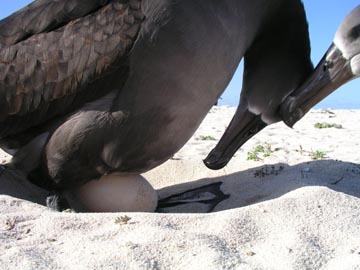 Serious protections are needed for Johnston Atoll, including a commitment to clean up. Protecting these areas to the maximum extent (200 nautical miles) would create the largest conservation area in history, and provide conservation and protection for some of the Pacific’s rich natural and cultural heritage. Under this proposal, these native Pacific ecosystems would have a chance at undisturbed survival, free from the threats that are decimating ocean life elsewhere. These islands are among the most intact natural coral reef ecosystems left in the Pacific. BUT! There is real concern the Bush Administration, under pressure from industry, could allow “multiple use practices” like mineral extraction and overfishing in these areas, harming their native species and ecosystems. Exclusion of “commercial use” and “multiple use management” is precisely why natural and cultural resources in the Northwestern Hawaiian Islands today have a real chance. We today have an opportunity to create a similar legacy throughout the Pacific. 4. Hawaiian Monk Seal May Get More Critical Habitat! Good news! On Friday, in response to a petition from KAHEA, the Center for Biological Diversity, and the Ocean Conservancy, the National Oceanic and Atmospheric Administration (NOAA) announced it will consider designating additional critical habitat for the highly endangered Hawaiian monk seal in the Northwestern as well as Main Hawaiian Islands. This is an important first step! Hawaiian Monk seals are today one of the most endangered marine mammals in the world. What will more critical habitat for monk seals do? More critical habitat will require the federal government to limit federal activities that could harm the beaches and nearshore waters used by monk seals. It will prevent the federal government from permitting a private development or constructing a federal highway that might harm protected critical habitat. It would also give the State access to federal funds to support state efforts to encourage monk seal recovery. What does it NOT do? This would not in any way limit public access to beaches or give the federal government any new control over our beaches or add any new restrictions on fishing. The Hawaiian monk seal is on the brink of extinction. It is projected that in a few years there will be less than 1,000 Hawaiian monk seals left in the wild. Without serious action, recovery will soon be impossible. We know that protecting our beaches and nearshore waters are critical to the survival of this endemic Hawaiian species, and we’re working to make it happen. Public participation will be needed to support this effort in the coming months, so please be on the look-out for monk seal action alerts! Still want to learn more? More information available at www.KAHEA.org. The astronomy industry and their friends at the University of Hawaii (UH) and are at it again–proposing not just another telescope but a gigantic 30-meter telescope (TMT) with a dome the size of a modern football stadium. Proponents of the TMT propose to level the last pristine plateau to build the mammoth structure. They announced last week that despite long-standing community opposition, they will go ahead with an environmental impact statement (EIS), signaling that they intent to move forward with development. The EIS is required by state law for any kind of construction in State Conservation Districts (like the one protecting the entire summit of Mauna Kea). At the same time, UH is trying to undermine the legal protections against excessive telescope construction on Mauna Kea by hiring a private firm, Ku’iwalu, to push through UH’s management plan and EIS. So, why is UH so eager to write a plan for the future of Mauna Kea? Answer: The TMT. – UH doesn’t have authority to write a management plan for the summit. The BLNR is the ONLY entity statutorily and constitutionally mandated to oversee the protection, conservation and preservation of Mauna Kea. Not the UH, OMKM, UC-Caltech or anyone else. Recently, the Third Circuit Court ordered the state Board of Land and Natural Resources (BLNR) to prepare and approve a comprehensive management plan for the conservation district on Mauna Kea–not UH. – There has been no authorized plan for Mauna Kea since 1985, and the terms of that plan have been repeatedly violated by UH. The last BLNR management plan for the summit conservation district was completed by DLNR staff in 1985. The 1985 Plan set limits on the size and number of telescopes allowed in the Mauna Kea Conservation District. That Number was 13 (11 major and 2 minor telescopes). UH has repeatedly violated that limit by building the Very Large Base Line Array (VLBA), Smithsonian Millimeter Array (the SMA has 24 telescopes pads and support structures that spans an area over half a mile across) and the Gemini North Telescope. UH and Kuiwalu are continuing to claim they can do a “new” management plan for Mauna Kea instead of BLNR, despite the Court’s order. But this isn’t new. UH has attempted to pass off numerous plans as the “new” comprehensive management plan, but the Third Circuit Court struck down all of them, including UH’s 2000 Master Plan. This means UH’s 2000 Master Plan, and everything set up through it, has no effect or force of law–including the Office of Mauna Kea Management (OMKM). The OMKM has no authority to oversee the management of Mauna Kea. There is no law that gives UH or the telescope industry the right to develop and destroy the unique natural and cultural resources of Mauna Kea, but there are many state and federal laws that require Mauna Kea be protected for its religious, cultural, and ecological importance. No new telescope development proposals until a true, proper, and public management plan is in place! The TMT and UH are just gonna have to wait until the community can genuinely come together and work out the priority needs of the summit in order to truly protect the rare ecosystem and unparalleled spiritual and cultural significance of Mauna Kea. 6. Historic Water Win in East Maui – MAHALO PIHA to all who participated! A big MAHALO! is due to the hundreds of people who responded to the call from taro farmers! They submitted testimony in droves and packed the room at the Water Commission hearing last Wednesday in Haiku-to demand that East Maui Irrigation Company (EMI) stop diverting every last drop of water from the streams of East Maui. The Commission took two days’ worth of public testimony and ultimately agreed with the taro farmers, scientists, and general public that EMI is diverting too much water from the East Maui watershed. The Water Commission ruled that EMI must return at least 12 million gallons of water a day to 8 of the 27 streams at issue, in order for the native stream life to survive. This is a historic decision was made possible only by the consistent and growing public pressure to uphold the constitutional rights of taro farmers and the legal obligations of the state to protect native ecosystems against the profit-seeking interests of corporations. Mahalo piha to everyone who took the time to participate. This decision will serve as a model for water restoration efforts throughout the islands. But there is still much more to do to restore the full vitality of East Maui’s taro patches and diverted streams all throughout our islands, so please watch for more calls to kokua from Hawaii’s taro farmers. Mahalo to all who give! These e-newsletters, as well as all the work we do at KAHEA, is possible only through the support of individuals like you! We are committed to raising our money grassroots-style. And in the spirit of keeping it real, we do not solicit or accept any corporate or Federal money. This makes your support all the more important! 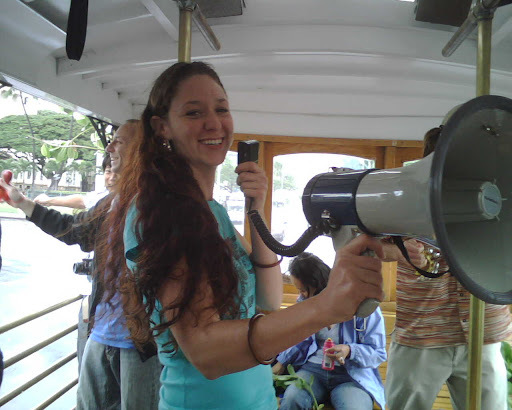 You can support KAHEA’s work by making a contribution online or by mail to 1149 Bethel St, #415, Honolulu, HI 96813. MAHALO PIHA! being heard? yup, it feels good. I admit to still being on cloud 9 about the recent announcement of the hearing officer’s decision on KAHEA’s standing to participate in the contested case on the research permit violations in the NWHI. Hooray! What an amazing affirmation of the power of showing up. We have attended every possible hearing about research permits to the NWHI and raised serious concerns about the lack of enforcement action on these research permit violations. We have shown up to talk about the lack of standards to determine who should be allowed up there and the lack of best practices to ensure their activities do no harm, as the law requires. We have again and again said that these research permit violations are a serious breach of public trust, and that rules should apply equally, no matter who is in violation–everyone should be held to the same standard: fishers, researchers, sight-seers, everyone. I wish had a dime for every time I’ve heard someone say with regards to these research violations, “Trust me, researchers would never harm the resource.” Talk about totally missing the point. The point is that researchers, like everyone else, are obligated to know and follow the rules put in place to protect this fragile public trust resource. Simple as that. The fact is most people don’t ever to intend to harm the environment, but they do because they don’t follow the rules, don’t think that their actions could have an impact. Wow. For that, my faith in the public decision-making process is renewed. We couldn’t have asked for a more meaningful affirmation of our voice and role. Too often the voices of those most directly affected by the decisions of officials are marginalized or even lost altogether. It is easy for money and politics to drive decisions. But when those influences are stripped away and those who have nothing to give but love for our ‘aina – people like Uncle Buzzy – can sit at a table and be heard on equal terms with all rest… that is when the best decisions are made. It was these people – those without power or money – that led the struggle for the strongest possible protections in the Northwestern Hawaiian Islands and successfully made their voice heard. And it will be these same people who will continue to ensure that those protections are fully implemented and enforced…. because these protections are nothing if they aren’t enforced, fully. Hooray, hooray today–for the little guy! The violations were first reported to DLNR staff in May 2006 while the vessel was still in the NWHI. But DLNR staff failed to notify the proper enforcement division, DOCARE, until late February 2007, almost a year after the infractions occurred. No investigators met the ship when it docked in Honolulu to inspect what the researchers brought back with them. Before the incidents were investigated by DOCARE and voted on by the Land Board, staff with the Aquatics Division of DLNR attempted to negotiate a penalty with the researchers at HIMB. 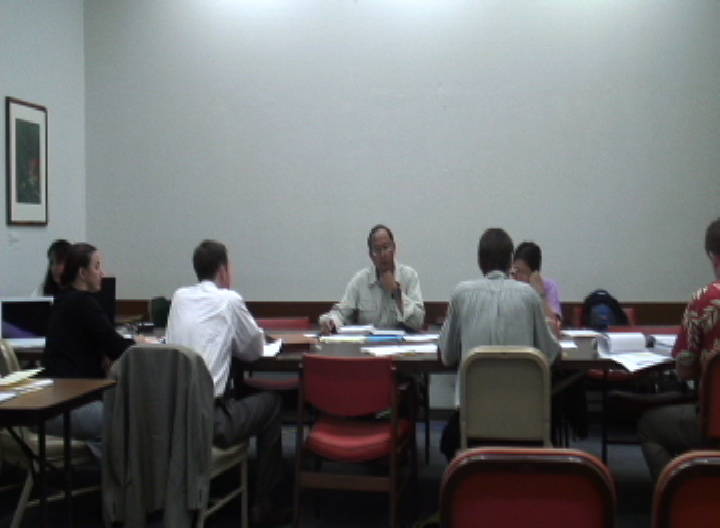 The staff brought the enforcement action before the BLNR twice – first in January 2007 and again in July 2007. Both times the staff recommended that the Land Board impose weakened penalties against the HIMB researcher, side-stepping the Refuge’s strict “one strike” law that prohibits future permits to be granted to past permit violators. “Given all of the tremendous public support for the strongest possible protections, and political will for the creation of these protections, it is astonishing that personal friendships and financial ties still seem to determine the near absolute lack of enforcement of NWHI rules,” said Townsend. More Media Coverage of Beach Access Rally Day!